Situated in a prime location on Lord Howe Island, our holiday villas are just moments away from the beach. We will happily assist you in booking your Lord Howe Island tours including class bottom boat adventures, guided bush walks or bike hire. 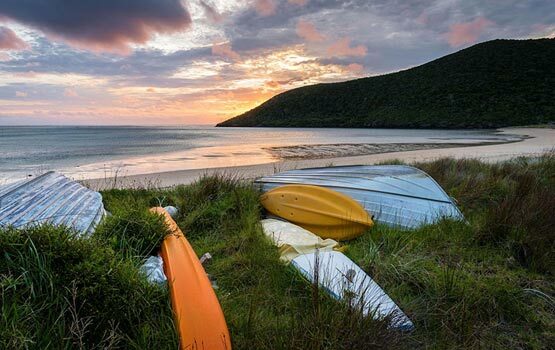 Whether you want to take it easy to go on an adventure, there is plenty to do including swimming, snorkelling, fishing, cycling and guided bush walks. At Milky Way Villas we have our own on-site restaurant and bar. Eat in or take away. 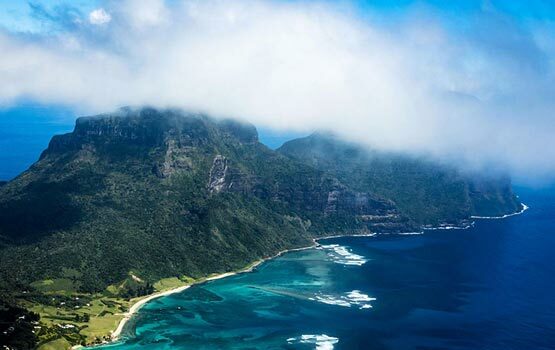 Australia’s Lord Howe Island is one of the world’s great vacation destinations. The breath taking beauty and tropical ambiance will entrance you from the moment you arrive. 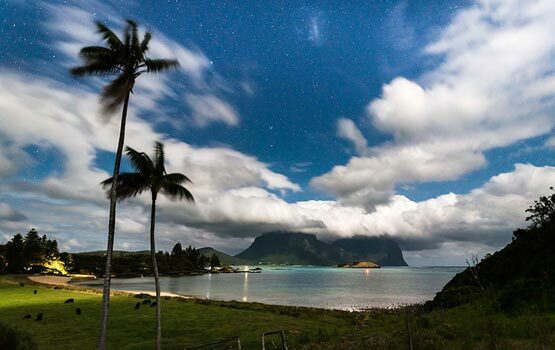 A week or two at Milky Way Villas at Old Settlement beach on Lord Howe Island will long be remembered as your “holiday of a lifetime”. We offer excellent one bedroom or two bedroom self contained villas with fully equipped kitchen and en-suite bathroom. Complimentary transfers to all restaurants. Planning a trip to Lord Howe Island? Get in touch to discuss your accommodation options.